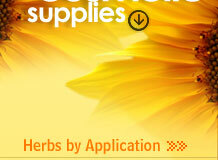 We are the prominent manufacturer and supplier of Thyme Oil. It is an ancient herb used in medicine by the Greeks, the Egyptians and the Romans and is an evergreen perennial shrub that grows up to 45 cm (18 inches) high, with a woody root system, much-branched stem, small elliptical greenish gray aromatic leaves and pale purple or white flowers. The name is derived from the Greek word 'thymos' that means 'perfume' and was used as an incense in Greek temples. The Egyptians used it in embalming process. 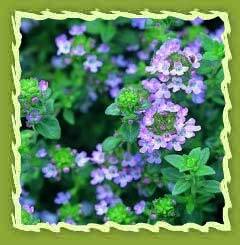 The Thyme plant is an evergreen perennial shrub that grows up to 45 cm (18 inches) in height. It has a woody root system, a multi-branched stem, small elliptical greenish gray aromatic leaves and pale purple or white flowers. It is considered anti-bacterial and anti infectious, as well as being a fungicide. Thyme oil has a fresh, herbaceous, medicinal scent. It has often been described as sharp and warming. Chemical constituents: Thyme oil has various chemical compounds that include a-thujene, pinene, camphene, pinene, cymene, terpinene, linalool, borneol, caryophyllene, thymol, carvacrol. Extraction: It is extracted by the steam distillation of leaves . It is an intestinal antiseptic, valuable in gastric infections, used for treating colds, coughs and sore throats, nose and chest infections when used as an inhalation or as a mouthwash or gargle. Thyme is effective against bacteria that cause mouth and gum infections. Thyme is an excellent pulmonary disinfectant, useful for all respiratory infections. Thyme is very effective against mouth and throat infections. The incence of thyme offers the finest quality incense. It is burned with charcoal incense(recognizable by their firm black composition) burn very clean, allowing the true fragrance of the incense to flow freely without a preponderance of wood burning pulp. Compress: Drops of thyme essential oil added to 2 cups hot or cold water and agitated to disperse oils helps in soothing and relaxation of skin and act as a compress. Diffuser or Nebulizer: The most effective tool for inhalations are aromatic diffusers that create a continuous fine mist of thyme oils that is readily and easily absorbed via the respiratory system. Diffuser is an excellent air disinfectant. Inhalation: Thyme oil when placed on a cloth to inhale, help in decongestion of lungs. Massage and Skin care: Few drops of thyme oil along with vegetable oil is an excellent skin rejuvenator. Absolutes, resins and more viscous oils are ideal for creating and blending personal fragrances, artistically and imaginatively. In Perfumery, Essence of Thyme is used for cosmetics and rice powder. It is also used for embalming corpses. The dried flowers have been often used to preserve linen from insects. THYMOL, a most valuable crystalline phenol, is the basis of the fragrant volatile essence of sweet thyme is widely used perfume material. All the different species of Thyme and yield fragrant oils extensively used by manufacturing perfumers for scenting soaps. When dried and ground, they enter into the composition of sachet powders. Thyme is principally used for culinary requirements, for its use in flavouring stuffings, sauces, pickles, stews, soups, jugged hare, etc. The Spaniards infuse it in the pickle with which they preserve their olives. It is used for meat preservations in European Countries. When applied directly or used neat, thyme oil could help with animal bites and boils. Diluted as a mouthwash or as a gargle, thyme oil can help with gum infections and tonsilitis.